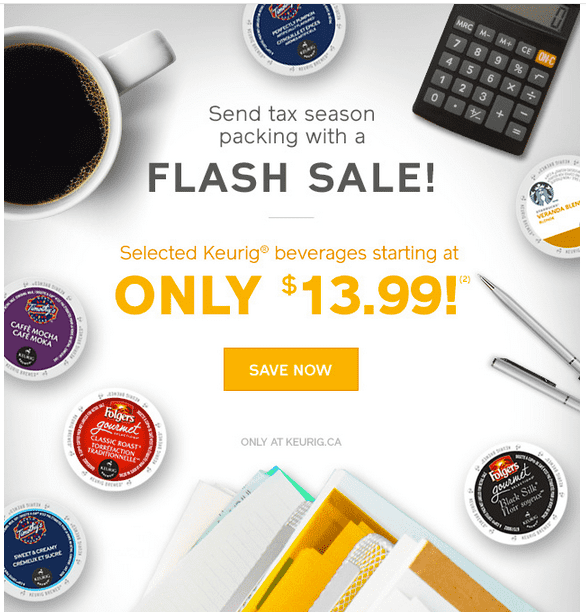 This Keurig Canada online flash sale is available now until Friday, My 1, 2015 at 4:59 p.m. EST, exclusively online, while supplies last. Timothy’s® Caffè Mocha (sale price of $17.99). Maximum of 9 boxes of each eligible product listed may be purchased per order. This Keurig Canada cannot be combined with any other offer, coupon or promotion.